This large green turquoise disk measure 1" in diameter and designed by mother nature in beautiful earth tones. Light green and citrine quartz briolettes, (approx 6mm) are hand wire wrapped onto a 22k gold-over sterling silver link chain. 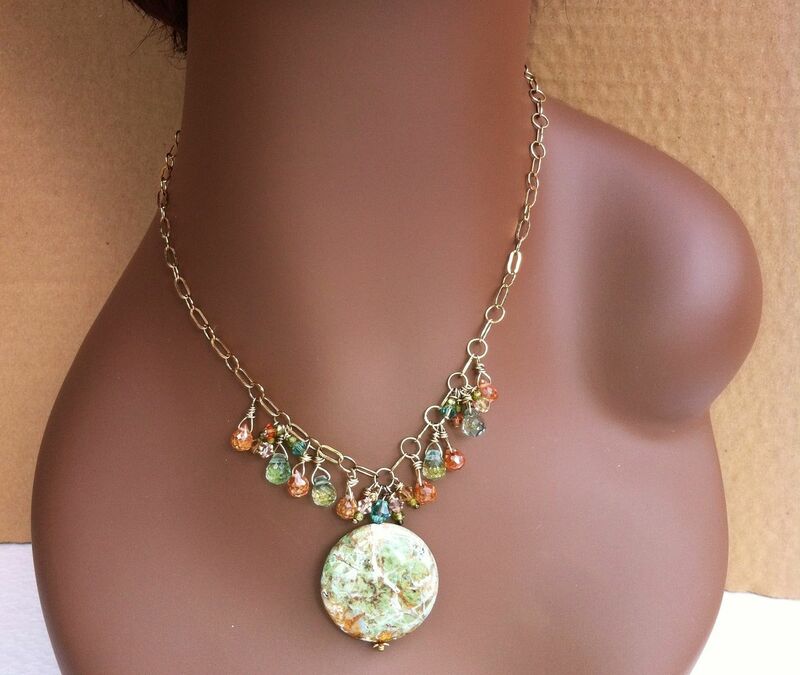 Necklace hangs approx 18".